THE BBC has received some 850 complaints from viewers upset they interrupted a broadcast of Mrs Brown’s Boys for a news bulletin on Nelson Mandela’s death. Today, the broadcaster was standing by its decision to interrupt the programme – which was a repeat - last Thursday night to report the death of Mandela. BBC News Director James Harding apologised to viewers, but said that Mandela’s passing was of “singular significance”. “The importance of his life and marking his death seems extremely clear to us,” Harding told the BBC’s Newswatch programme over the weekend. 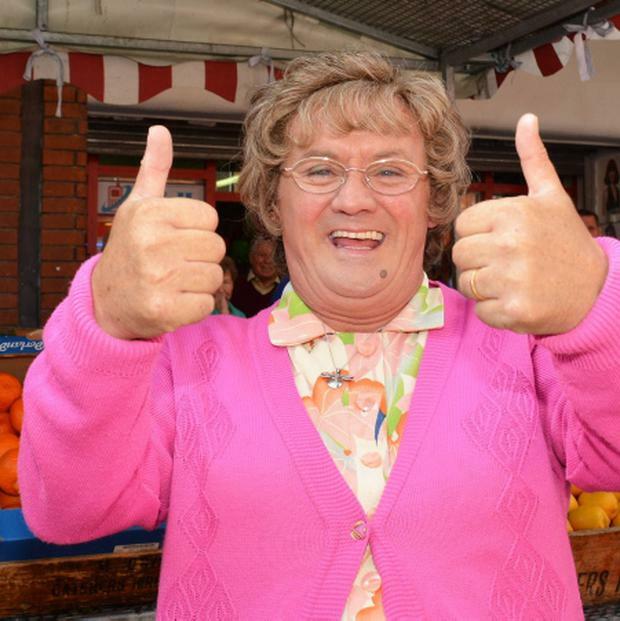 The repeat episode of Mrs. Brown’s Boys in question averaged 2.8 million viewers, which leapt to 5.1 million during the channel’s 10pm news bulletin that followed. The Brendan O’Carroll sitcom has legions of fans around the world and has won a string of awards.